Want Outlook Express on Windows 8 or Windows 7? Zinstall zExpress will do that for you. Outlook Express, along with many other programs, is not available on Windows 8 and Windows 7. It's incompatible - you cannot even install it manually. 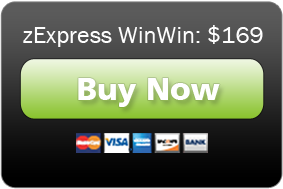 However, Zinstall zExpress allows you to have your Outlook Express on your new Windows 8 or Windows 7 computer! CLICK HERE to get an evaluation copy! Note: Windows 8 is used as an example in the video. The process is the same for Windows 7 computers. Your Outlook Express runs just as any other application on Windows 7 or Windows 8, natively and seamlessly implanted into the system. You can continue using it just like on the old computer. You don't have to be a computer guru to use Zinstall. The product is completely automatic and intuitive to use. Zinstall zExpress works with Windows 7 and Windows 8, from Home to Ultimate, both 32- and 64-bit. You don't have to listen to us. Instead, see what Microsoft's Windows guide has to say about Zinstall, or read a few reviews here. If you just want Outlook Express on your Windows 7 or Windows 8, use Zinstall zExpress. Our most popular and recommended product. If you not only want Outlook Express, but also want to transfer your other applications, settings, files, documents from your old computer, use the Zinstall zExpress with Migration Combo. It includes zExpress and a transfer of your old computer to the new one. Not sure? CLICK HERE to get an evaluation copy! Buy online and get it right away! Not sure? Click here to get a fully functional evaluation copy!